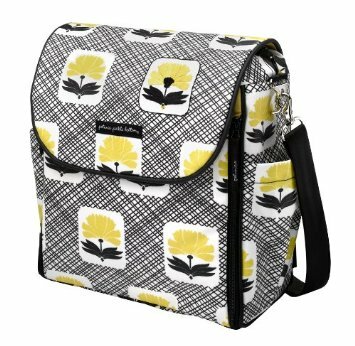 Petunia Pickle Bottom Diaper Bag Giveaway With Wittlebee! We are very excited to announce that our friends at Wittlebee Kids Clothing have sponsored a great giveaway for one of our readers! We have a Petunia Pickle Bottom Diaper Bag for one lucky reader in this fabulous giveaway. You may have seen me talk before about the Wittlebee Kids Clothing Box. Wittlebee is a fabulous way to get great deals on high quality kids clothes – without needing to ever go near a store! We all know what a huge chore shopping with a young child is – with Wittlebee you can skip the stress and get kids clothes at big discounts. How does Wittlebee work? Every month Wittlebee sends you a box with 6 items of kids clothing. The quality is top notch and the value of the clothes can be around $100 with high quality well known sought after brands. Click to see how Wittlebee.com works! Some great new changes mean that you have even more choice over what will be in your Wittlebee box. You can now choose 3 items yourself from the online showroom. Browse and choose at home. This gives you the freedom to choose exactly what you want whilst still having the fun element of surprise for the other items which will be chosen by your personal stylist. How do Wittlebee know what you want? When you join you will quickly complete a ‘style profile’. This includes sizes,preferred colors and design types. This allows the Wittlebee stylists to pick some really special items just for you. Wittlebee is just $39.99 a month and you can get a discount of $10 with our coupon code below! That is just $29.99 for your first box. Less than $5 per item! Just click on the link below and enter SAVE10 at the checkout. We have always been very pleased with our Wittlebee boxes. Great choice, great value and high quality. Wittlebee makes a great gift. Look out for our upcoming review of a Wittlebee Box that we will be getting soon for a friend due to have her baby any day now! You can pause or cancel your account at any time. No hassle. Enter to win the fabulous Petunia Pickle Bottom Bag! Simply follow the Rafflecopter instructions below. I would love to see how a PB diaper bag would work for me! I loved how you can convert it to a backpack style! We use a backpack for a diaper bag. I would DEFINITELY love a nice diaper bag! This momma needs a new diaper bag! This is gorgeous! I’d love to get a new diaper bag for me and my baby boy. Petunia Pickle Bottom Bags are not only gorgeous, but they are so practical (I know, terrible word). They have everything a mom needs in a well organized bag! Great bag now that I’m downsizing from my huge one! I’ve always wanted a petunia pickle bottom bag! I want a Petunia Pickle Bag because I want to be stylish! I would love to win because I have always wanted a PPB bag! It would be nice to have a new diaper bag! I have always wanted a PPB diaper bag but they are way out of our budget for, as dh would say, “just a diaper bag”! I would love to win because I have always wanted a Petunia Picklebottom! Also because I have never even gotten to pick out my own diaper bag and my daughter is two! I was given one by my mother in law, and I love it, but it is not particularly my style. I have used it for the last two years though and it is getting pretty beat up. Thank you for the opportunity. I’d like to win b/c I don’t have a diaper bag yet! I would love to win this! My diaper bag has seen better days! Looks like the perfect size. I desperately need a new diaper bag. Mine is falling apart and this one is really cute. I’d like to win this lovely diaper bag for my nephew’s wife who is due to have a baby soon. Thanks. I woud love a nice, durable diaper bag for my baby! Because I don’t have a diaper bag yet! I’d love to win cause it looks like an awesome bag. I love Petunia! I feel like I have to save up for a whole year to afford something like this. So cute! Oh i really need a new diaper bag and this one is so pretty!! And while not as good as pretty (hee hee), it looks super functional too! I’m 20 weeks pregnant and this would be the most amazing treat. And I love the bag you featured. Yellow is my favorite color. P.S. I love the idea of getting kids clothes this way! I would LOVE to win this!! I need a new bag! I would love to win for a friend. I would live to win a Petunia Pickle Bottom Boxy backpack. I love all of their diaper bags beautiful and functional.